I have on many occasions thought of writing a review about The Secret Garden but then it wouldn’t be secret anymore and do I really want more people to know about it? Its proper name is the Garden to St. John’s Lodge, and it’s secret because the entrance is difficult to find even if you have been there a few times before. 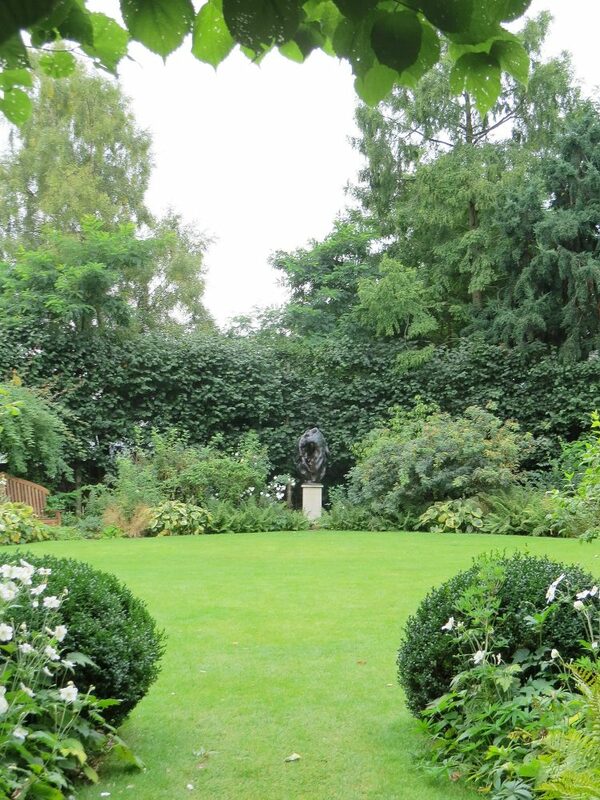 The garden has been my favourite location for lazy summer evening picnics for many years. Unfortunately, the last time we were a bit too lazy and along with 18 other people including babies, prams and bicycles found ourselves locked in. Alerted by the police, the Royal Parks keeper who came to rescue us took his time. Just as it grew dark with babies crying and the more agile amongst us trying to scale the railings he arrived to let us out. St John’s Lodge is one of just two surviving villas from John Nash’s proposed development of Regent’s Park, ‘the jewel in the crown’ of that ambitious great sweep from Carlton House Terrace, rising up Regents Street to Portland Place and on to Park Crescent – London’s finest piece of urban planning. It is a happy accident of history that the plans for the park were abandoned, and the Prince Regent’s summer palace and the 48 unbuilt villas with their extensive gardens were never realised, and we have inherited one of London’s finest and most varied parks. Although the Lodge was built in 1811, it was greatly extended by Charles Barry in 1889 immediately prior to its occupation by ‘the richest man in the world’, the 3rd. Marquess of Bute. Bute’s father had made a vast fortune out of the development of Cardiff as a port exporting Welsh coal, and the 3rd. Marquess is probably best known as the unconventional grand patron of that exuberant Victorian architect, William Burges. It was in 1889 that Bute commissioned the Arts and Crafts architect Robert Weir Schulz to lay out the gardens at St. John’s Lodge as a place ‘fit for meditation’ and it retains that wonderful sense of calm tranquility today, away from the bustle and noise of London and one of its busiest parks. 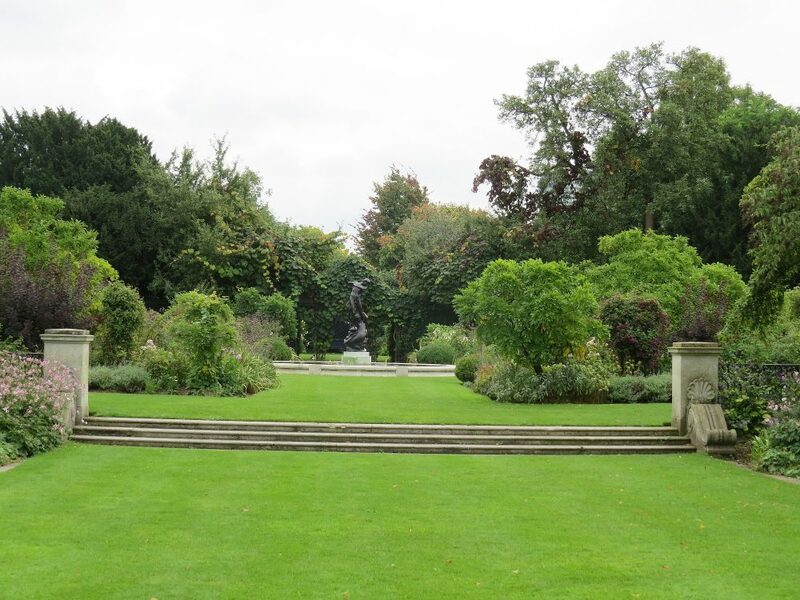 In 1928 the government made the decision that Regent’s Park should be made more accessible to the public and at that time the Lodge was leased to public institutions and garden visitor access was through the Lodge forecourt. In 1993 landscape architects Colvin and Moggeridge were appointed to create a new separate entrance and to carry out a major garden restoration to reflect the original Schulz layout. This enabled the Lodge to be leased privately in 1994 to the Sultan of Brunei for a reputed £40million and it remains today one of the London homes of the Sultan’s family. 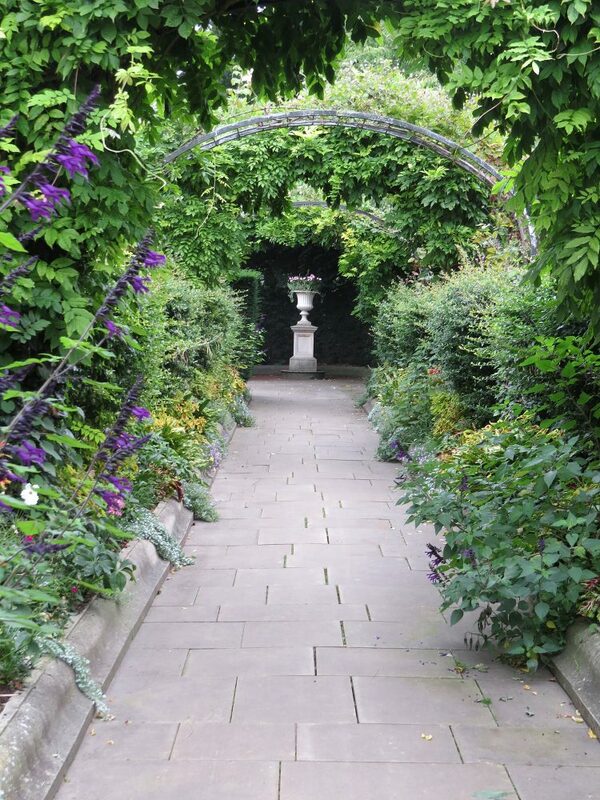 The new entrance to the gardens is through an unassuming half open gate next to a Lodge gatehouse and leads down a long narrow passage with steel framed pergolas covered in clematis and roses bordered by raised beds of perennials and with a formal stone urn on a pedestal placed at the end. It might easily be mistaken for the entrance to a private garden. It has that Alice-in-Wonderland quality of disappearing down a rabbit hole into a different world, which it indeed is as you come out in the middle of a near-perfect small English garden; a tranquil intimate place laid out with lawns and exuberant and stylish modern planting. The garden is a series of formal garden ‘rooms’ aligned to the axis of the Lodge. 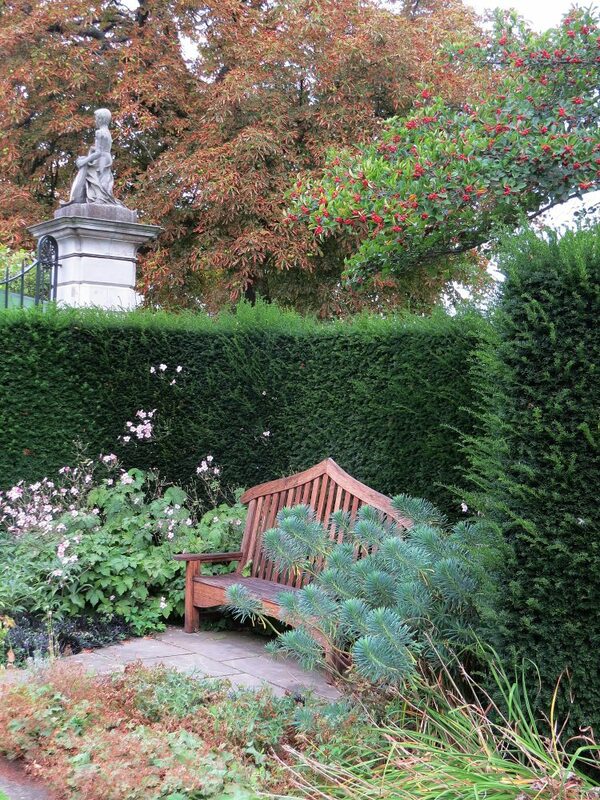 Now hidden from the Lodge forecourt, the rectangular Long Lawn leads into the garden and has tall scalloped yew hedges to the sides which, together with the enclosing beds and unusual high-backed seats, create a sense of intimacy. Steps lead up to the Circular Garden, past cherubs on stone pillars holding shields that bear the coat of arms of the Bute family. 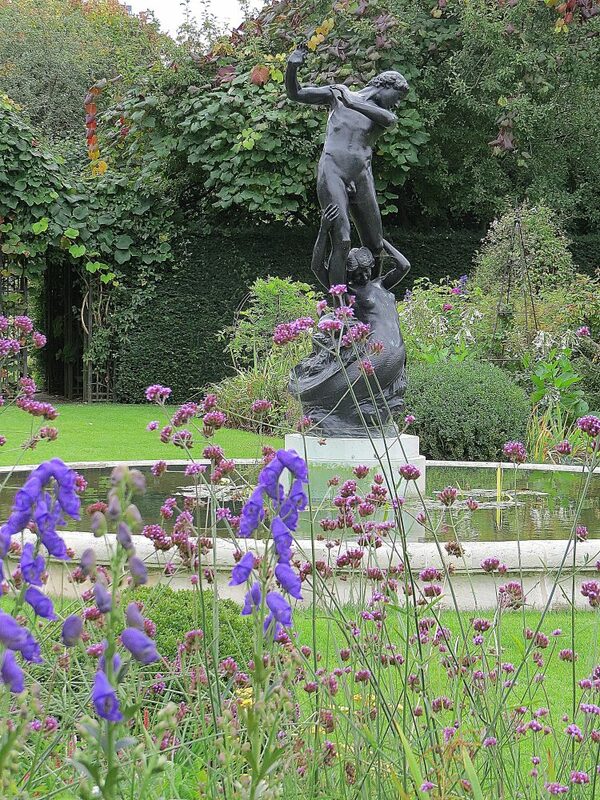 Large beds of shrubs, perennials and bulbs enclose a raised central pond and fine statue of Hylas and the Nymph by Henry Pengram, the first of three excellent bronzes in the garden. 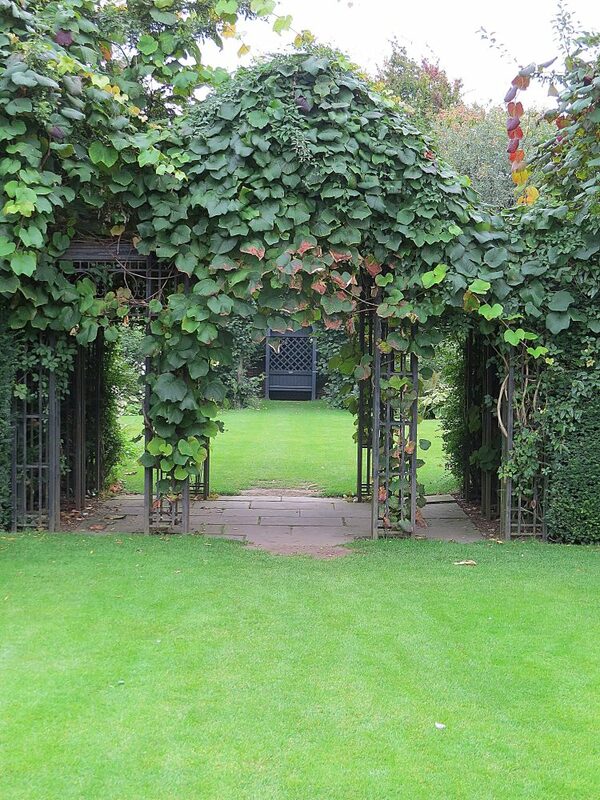 Continuing through a narrow steel arch covered in vitis coignetiae, the Oval Garden enclosed by pleached lime trees opens up in front of you. This was formerly a tennis court in Schulz’s scheme but has been sensitively developed by Colvin and Moggeridge into a formal garden with seats set in arbours and skillful colour-coordinated planting of shrubs and perennials, popular in the 1990s and still looking wonderful today. 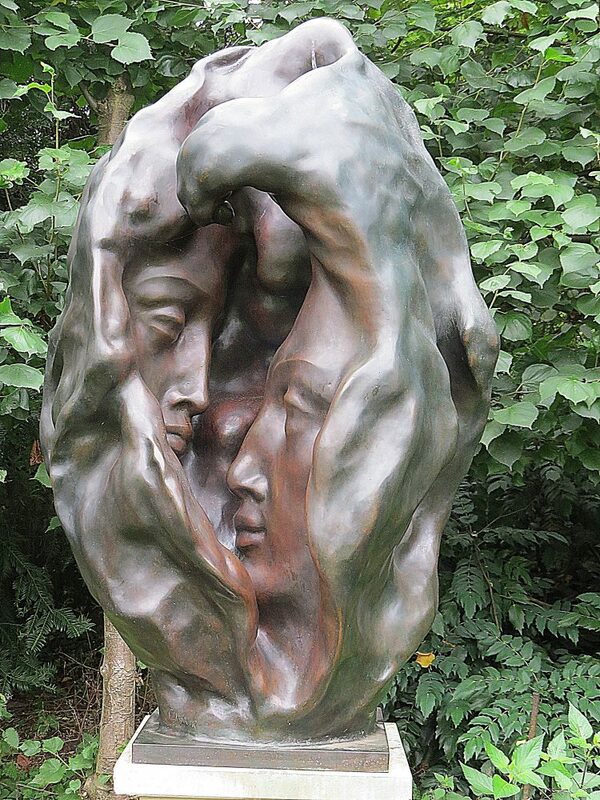 Here can be found the recently placed sculpture ‘The Awakening’ by Wuts Safardier that commemorates the life of Anne Lydia Evans, who is best remembered for her work with The Medical Campaign for the Care of Victims of Torture. The garden then continues into a small circular enclosure with a stylish arbour seat. The long garden that lies to the east of the main axis behind a row of trees seems detached from the main garden, and is to my mind a less successful series of spaces. 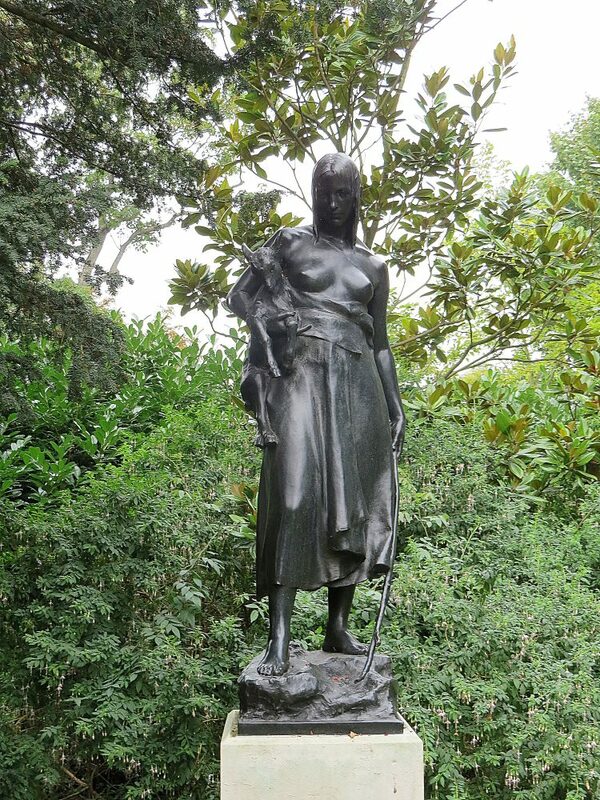 A raised Victorian urn, carpet-bedding and shade planting can be found here but what makes this garden worthwhile is the finest of the three bronze statues ‘The Goatherd’s Daughter’ by Charles Leonard Harwell which bears the inscription ‘To All Protectors of The Defenceless’. The Secret Garden is always a joy for me to visit with its sense of tranquility, strong structure, delightfully varied and well-proportioned spaces, good hard landscaping and wonderful planting, and of course great memories. For someone who has visited hundreds of gardens It is without doubt the small garden I would most liked to have designed.